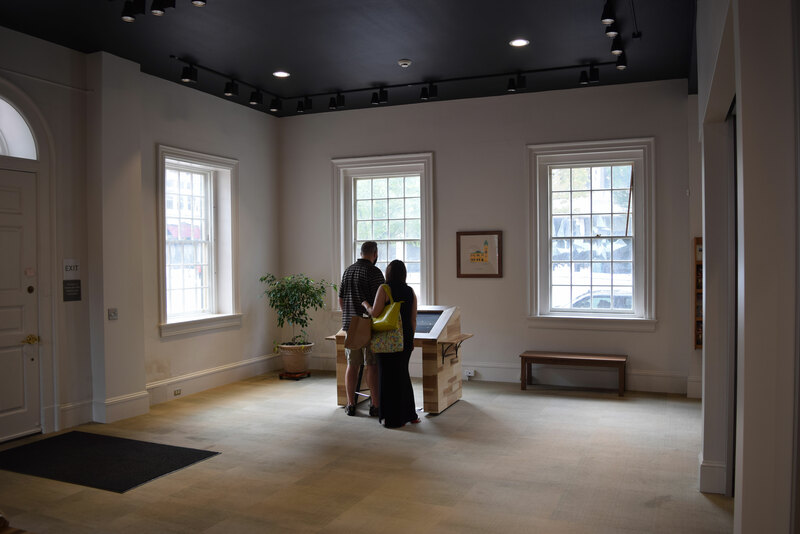 With tourism being a significant part of the economic sustainability of the center city Lancaster area, it was vital to have a Visitor’s Center that would create the right first impression and encourage tourists to explore all the many aspects of things to do and see in the downtown. 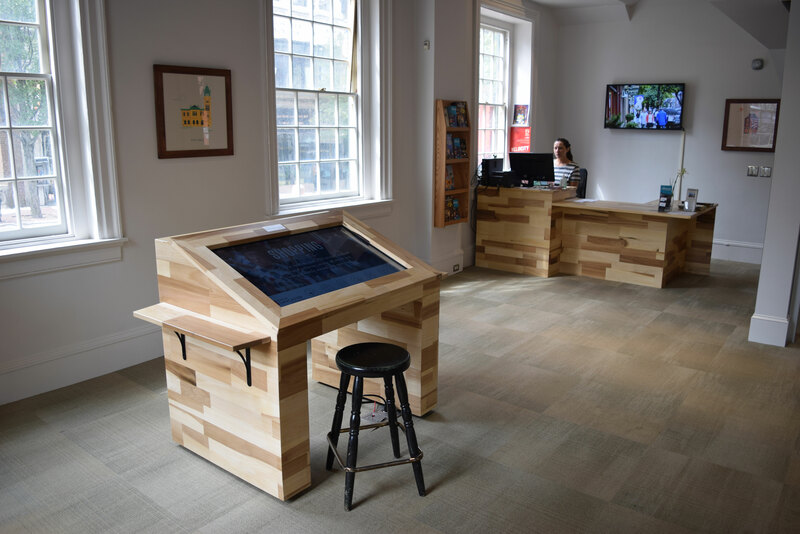 The ideal location was to transform a county-focused visitor center and museum located at the center hub of the city, into a state-of-the-art interactive visitor’s center totally focused on city attractions and history. 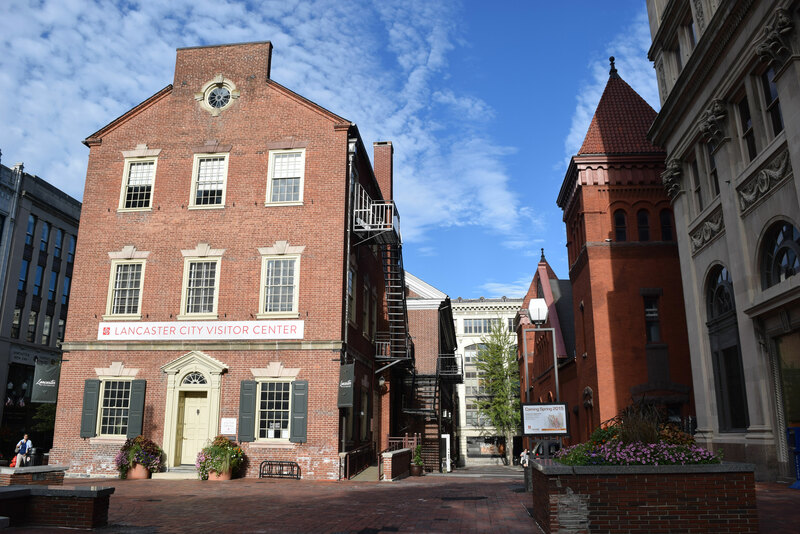 The historic building, once the old city hall, is located opposite Central Market, one of the most popular attractions in the downtown. The reception area of the new center is deliberately designed with lots of open floor space to accommodate heavy visitor traffic. A reception desk is staffed to provide personal assistance. The information kiosk is an interactive video format. Additional information is provided through brochure racks and a video screen located behind the reception desk. All interior features are done with a poplar wood cladding theme, which is continued in other areas of the center. Black ceilings and adjustable lighting enhance the view of the city through the windows as guests look up information at the kiosk. 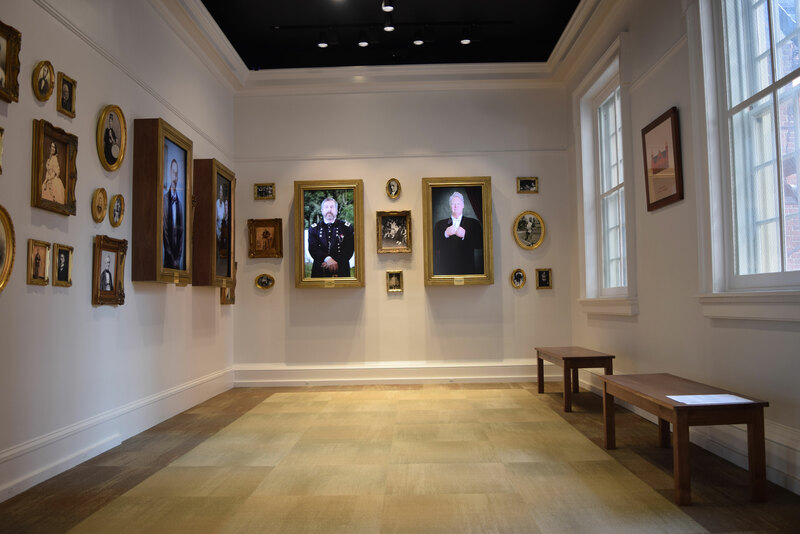 The Visitors’ Center includes a portrait gallery that combines traditional portrait art with new interactive living portraits of people who played a prominent role in the history of the city. The interactive portraits tell the story of Lancaster through the eyes of the person in the art, and literally talk to each other as well as the visitors. 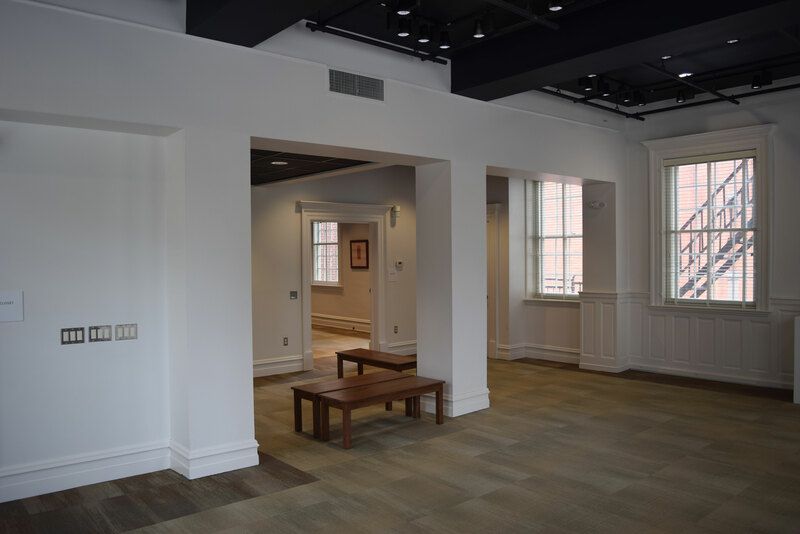 As in the reception area, this room is designed with an extensive amount of open space to accommodate large numbers of visitors who can enjoy the gallery at their leisure without feeling crammed in the space. Benches are located along walls to provide seating options that don’t interfere with the displays. The spacious, open second floor galleries encourage visitors to explore all areas of the center. Benches continue to be placed to provide seating options, as better shown in this second view of the space. Windows look out to the historic Penn Square plaza and nearby Central Market building, continuing to combine the experience of the city with the experience inside the center.